Your message has been sent to Beijing Ultrasonic . Like authorSTREAM? Give us a +1! Beijing Ultrasonic is a leading ultrasonic products manufacturer, providing ultrasonic cleaners, ultrasonic generators, ultrasonic transducers and piezoceramics. 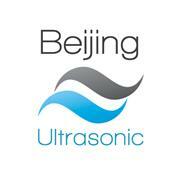 Beijing Ultrasonic is now one of the major global suppliers of industrial ultrasonic technologies. The company serves the semiconductor, medical, electronics, aerospace, automotive, off-road, and many other industrial markets.